The railway line through Melksham was opened in 1848 ... after a period of construction. The other week, when Lisa, Phil and I visited the Wiltshire and Swindon Archive Centre (near Chippenham Station), we examined some of the original drawings done prior to this construction period. We could spend days or weeks [which we don't have] immersed in the large amounts of material they have there. We came away with notes and a number of photographic records of things we saw - such as this drawing, marked "Wilts, Somerset and Weymouth Railway - Melksham Contract. Staverton Viaduct 7 - 29 - 70". The number is probably miles, chains and (?) yards (from (?) Thingley). 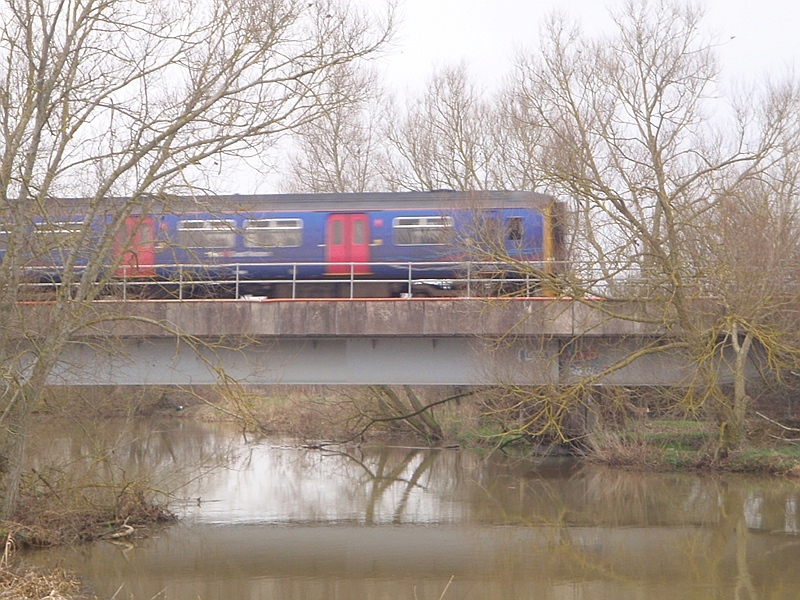 And the viaduct is clearly the River Avon crossing between Melksham and Trowbridge. 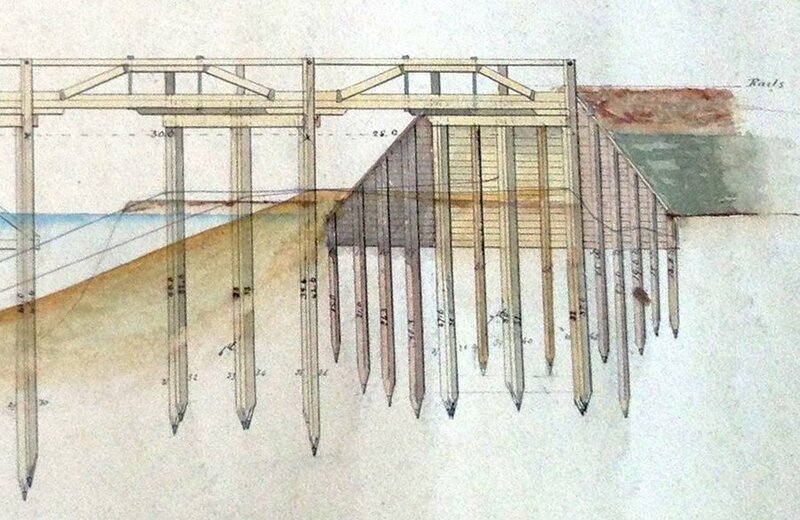 It's really interesting to see one of Brunel's Timber Viaducts - which were so much a feature of Cornwall and are much associated with that county - right up here in Wiltshire. The drawings in this set are long out of copyright, but I did check back with the archive before republishing here. They write: "For documents which are out of copyright there is no difficulty - you are welcome to go ahead and publish in any format. We like to be acknowledged as the source - Wiltshire and Swindon Archives, abbreviated to WSA, please." . Duly acknowledged, thank you. You have some wonderful history there in Chippenham! Here is the same bridge (or rather its modern replacement) in use today. It's on the TransWilts line, currently served by just 2 trains a day from Swindon to Southampton, and 2 trains a day in the other direction from Westbury to Cheltenham.